We have migrated completely off of our legacy Mongo database and moved completely over to SQL. This will result in improved performance, enhanced protection, better benchmarking and business intelligence and accelerated development cycles. 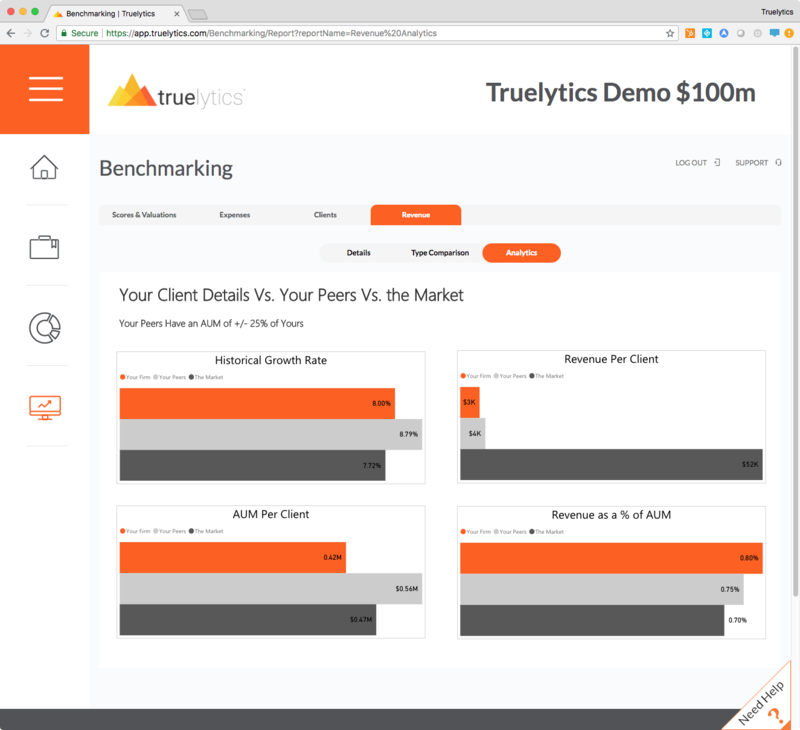 Truelytics continues to embrace a business model based on helping broker dealers, custodians and RIAs improve their advisors' practice management capabilities and valuations. 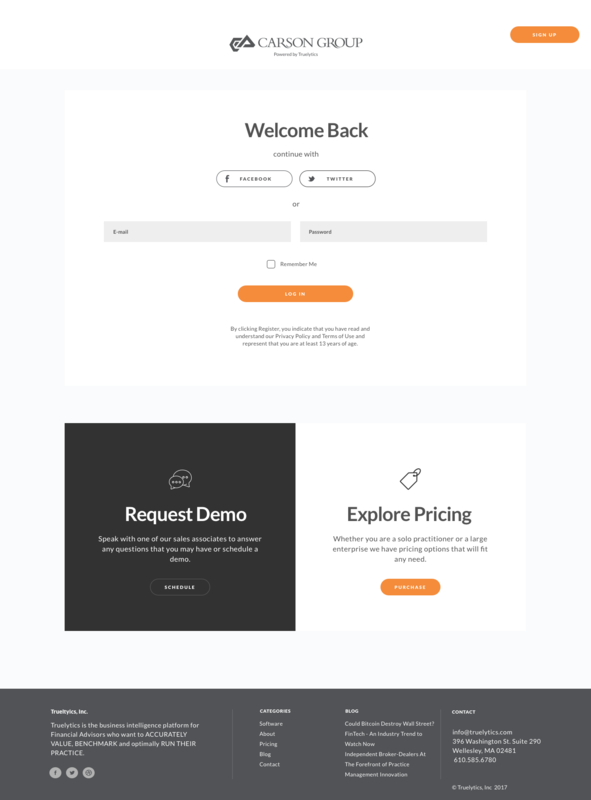 To this end, Truelytics is happy to introduce white label functionality (including offering a customized domain address and login process). 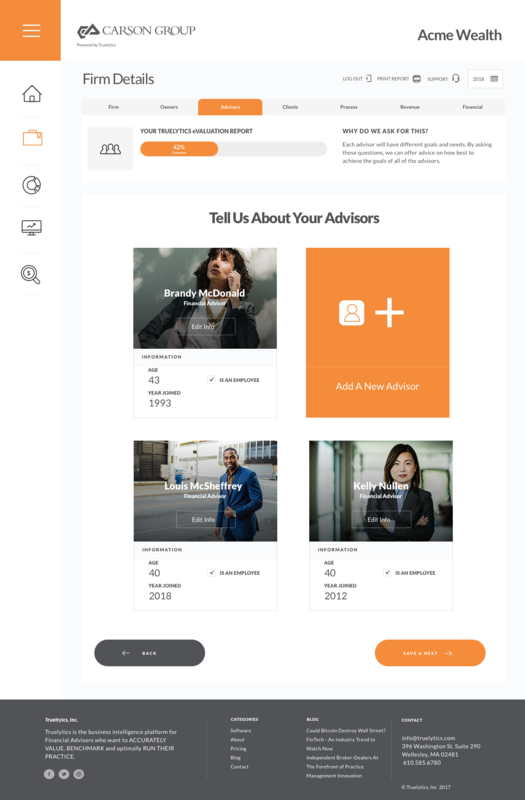 Enterprises can now provide their advisors with access to the suite of Truelytics tools while maintaining their own brand experience. This brand support will function seamlessly with an enterprise’s existing technology, as well as future technology as their tech-stack evolves. 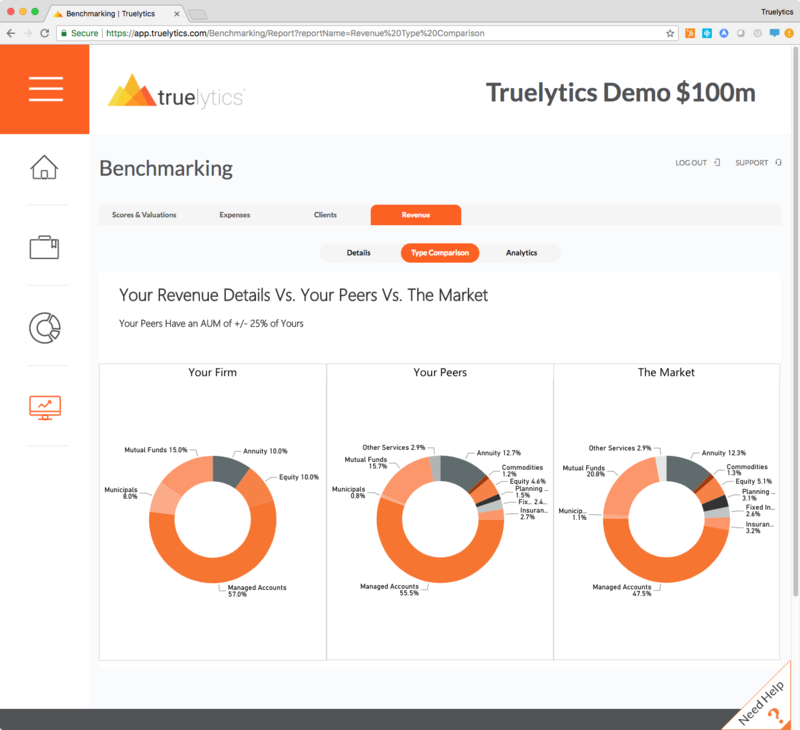 When combined with Truelytics single-sign-on support, the advisors will gain the benefits of the Truelytics platform within the confines of the enterprise’s brand. White label support further demonstrates Truelytics’ commitment to supporting our enterprise customers, and helping them meet their growth and retention goals. We just introduced two new dashboards in our apps benchmark section. 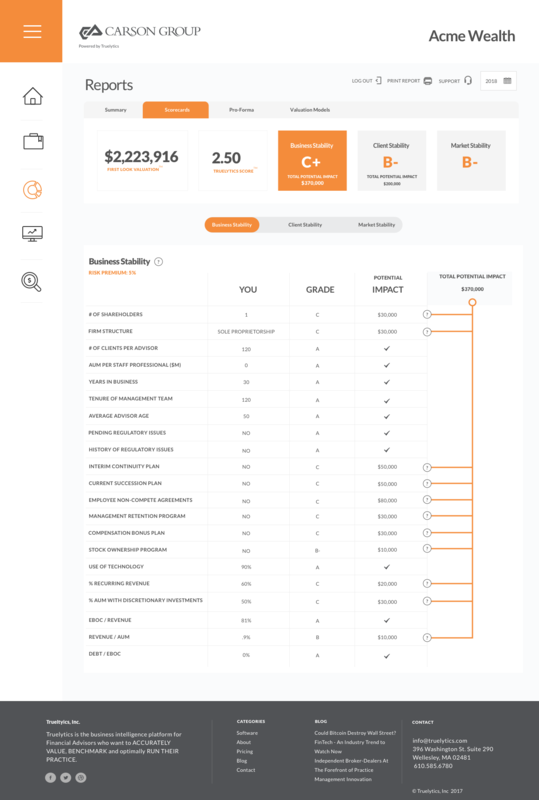 Check out our Truelytics 2.0 release where we massively overhauled the application's user interface and information architecture. Sign up for a free year on Truelytics!